Does the death penalty violate the Constitution? 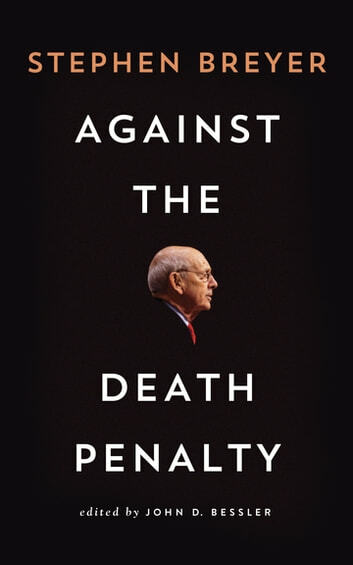 In Against the Death Penalty, Justice Stephen G. Breyer argues that it does: that it is carried out unfairly and inconsistently, and thus violates the ban on "cruel and unusual punishments" specified by the Eighth Amendment to the Constitution. 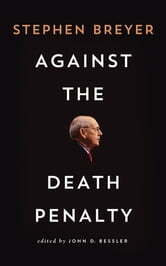 "Today’s administration of the death penalty," Breyer writes, "involves three fundamental constitutional defects: (1) serious unreliability, (2) arbitrariness in application, and (3) unconscionably long delays that undermine the death penalty’s penological purpose. Perhaps as a result, (4) most places within the United States have abandoned its use." This volume contains Breyer's dissent in the case of Glossip v. Gross, which involved an unsuccessful challenge to Oklahoma's use of a lethal-injection drug because it might cause severe pain. Justice Breyer's legal citations have been edited to make them understandable to a general audience, but the text retains the full force of his powerful argument that the time has come for the Supreme Court to revisit the constitutionality of the death penalty. Breyer was joined in his dissent from the bench by Justice Ruth Bader Ginsburg. Their passionate argument has been cited by many legal experts - including fellow Justice Antonin Scalia - as signaling an eventual Court ruling striking down the death penalty. A similar dissent in 1963 by Breyer's mentor, Justice Arthur J. Goldberg, helped set the stage for a later ruling, imposing what turned out to be a four-year moratorium on executions.